Allen Conway's Blog: Is Aurelia going to a realistic competitor? Is Aurelia going to a realistic competitor? It's no secret JS frameworks and libraries seem to come and go as do the seasons, and investing heavily in one is an important decision. 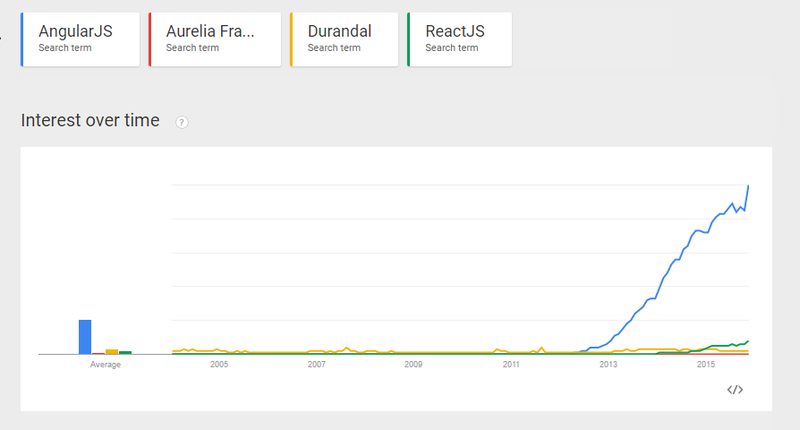 Durandal seemed to have lost a flame quickly in this JS framework battle, so I'm curious how Aurelia will fare. "From a business perspective, Aurelia is backed by Durandal, Inc. Durandal is a company that is dedicated to providing open, free and commercial tools/services for developers and businesses that create software using web technologies." As a private company it is tough to see the backing or possible angel investors involved with Durandal. However for OSS with a passionate community this could be a moot point. "Durandal is positioned to begin raising Series A venture capital this month. That isn't to support the open source Aurelia project. That project does not need funding. Rather, it is to support Durandal Inc. which intends to offer a much richer set of tooling and services for those who want to leverage Aurelia and the web. We are building out a serious business and our entire platform will be built with Aurelia and for Aurelia. Our potential investors are very excited about our plans and we expect to have some cool stuff to show in the future"
"Aurelia itself is solid due to the fact that it currently has a 12 person development team distributed throughout the world and a large active community, especially considering it was only announced a couple of months ago"
"We have 17 members on our core team currently which contribute daily"
I think the conservative decision today is to go with ReactJS or AngularJS with Aurelia being the bold one. I'm not thinking it's going to fade away anytime soon, but with so many competing frameworks it's important for it to catch some mainstream traction or the OSS community might loose steam working for a lost cause. I for one hope it does succeed and becomes a bit more mainstream. 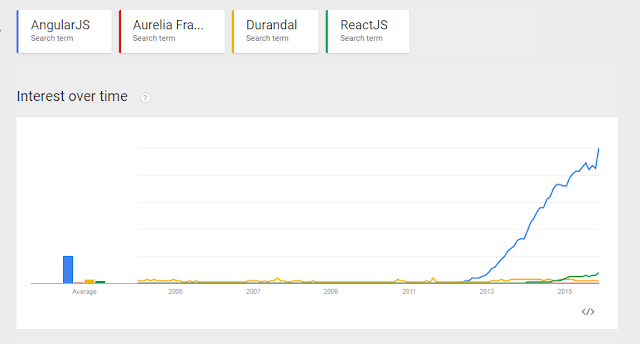 When comparing the syntax for ReactJS, Angular 2.0, and Aurelia, I believe I'd choose Aurelia. Unfortunately for me I'm one in the camp that actually likes Angular 1.x and it's implementation so I don't really have any gripes to it currently for switching to something different. However its shortcomings in performance and implementation are certainly going to be addressed by the radically different 2.0 which still needs to grow on me a bit. Time will tell and the community not I will answer this question by adoption (or lack thereof) of this framework and others in the upcoming months and years. As I try very hard to explain to many people popular and good are not the same. @Ian - good point. Hopefully the community breaks that routine and gravitates toward which frameworks truly are the best to use. Although I do recognize the word 'best' is highly subjective. Another great blog,Thanks, I really appreciate the kind words and after refer that post new more updates to collected.